Here are a couple of the more interesting screen grabs received recently. Composite Argo grab showing everybody's best bits.. It was a very noisy band due to thunderstorms in Northern Europe. 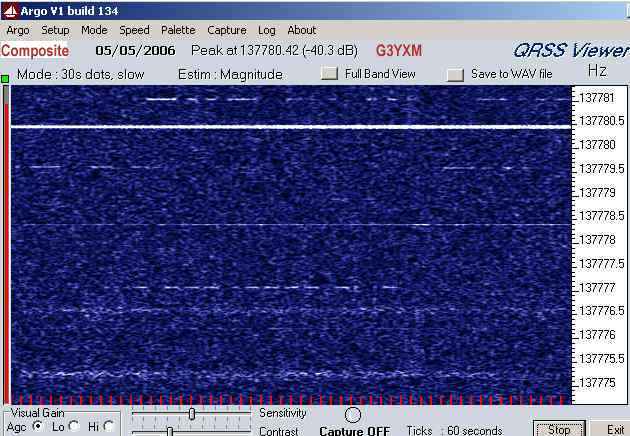 From the top a good 'XNS at 0430, then a couple of almost readable XGJs around 0230 with traces of XES below (just below .779). VO1NA's best showing seen here was at 0130. 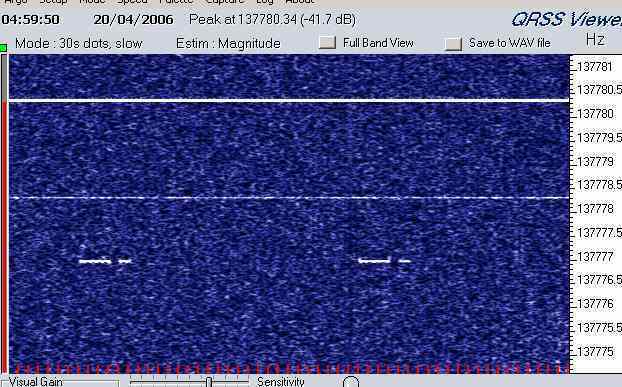 After a fallow period over Easter with just occasional sightings of VO1NA we see WD2XGJ coming in with a bang at 02.30. 'XES was there all night too. 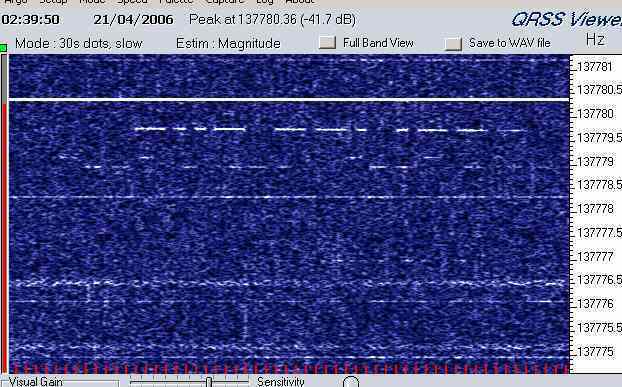 A lonely VO1NA booms in on an otherwise empty band. Back to the live grab.